The Jekyll Island Management Institute (JIMI) seeks to provide affordable leadership and management training to museum professionals. At JIMI, participants have the opportunity to learn current methods in the field and build networks with other museum professionals. Faculty members provide subject area expertise and practical approaches to administrative challenges. To learn more about the institute, download the JIMI 2019 Brochure. Application process closes at midnight on October 21, 2018. Download a press release here. This annual Institute provides an eight-day, total immersion environment for professionals to learn more about general administration and operations. JIMI gives administrators the key resources to gain confidence in pursuing leadership roles and having a greater impact on their institutions. JIMI offers opportunities for participants to learn management skills through presentations, small group discussions, projects and participatory exercises. Participants discover their management styles through self-tests and activities, group project assignments and presentations. Download the JIMI 2019 Application Form. JIMI 2019 will be held Tuesday, January 22 through Tuesday, January 29. Tuition of $700 for SEMC members and members of other regional associations (must provide membership number), $750 for non-members, includes all materials, refreshment breaks, one pizza lunch, and the awards banquet. Rooms have been reserved at the Jekyll Island Club Hotel on Jekyll Island, GA. Single rooms will be approximately $142 (includes taxes and fees) per room, and suites are approximately $280 (includes taxes and fees)per suite. Thanks to the generosity of friends and colleagues of the late Peter S. LaPaglia (co-founder of JIMI), the Southeastern Museums Conference (SEMC) and JIMI are pleased to offer a tuition scholarship. Click here for the JIMI 2019 Peter La Paglia Scholarship Fund Application. Thanks to the generosity of the Smithsonian’s National Museum of African American History and Culture (NMAAHC), the Southeastern Museums Conference (SEMC) is pleased to offer the John Kinard Scholarship Fund for two staff members of AAAM institutional museums or individual AAAM members to attend SEMC’s Jekyll Island Management Institute (JIMI). The two annual scholarships of $1,625 each will cover the tuition for JIMI and travel expenses. The John Kinard Scholarship Fund is established in collaboration with the Smithsonian’s National Museum of African American History and Culture (NMAAHC). Created by an Act of Congress in 2003, the Museum opened on the National Mall in Washington, D.C. in September 2016. For information on the Museum’s current programs and exhibitions visit www.nmaahc.si.edu or call 202 633-4751. If you wish to be considered for the John Kinard scholarship, please indicate your interest in your cover letter. Smithsonian or NMAAHC employees are ineligible for selection of the John Kinard Scholarship Fund. Other tuition scholarships may be offered if funds are available. To apply, submit a one-page letter of justification, including estimated expenses, the amount your institution can afford, and the amount of your scholarship request (up to the amount equal to SEMC tuition of $700). Include this letter with the JIMI application packet, and check the box for scholarships on the application checklist. Please remember to indicate that you are applying for other scholarships in your cover letter as well. Only one scholarship per person is permitted. SEMC and JIMI gratefully thank the Arkansas Museums Association, the North Carolina Museums Council, the Mississippi Museums Association, and the South Carolina Federation of Museums for providing scholarship support for its members. In addition, the John and Cynthia Lancaster JIMI Scholarship provides funding for a museum professional from Tennessee, and the South Carolina Military Museum offers the Ewell G. "Buddy" Sturgis, Jr. Memorial Scholarship that also covers the cost of tuition for qualified candidates. We gratefully acknowledge support from Gaylord Brothers for additional JIMI 2018 scholarships. Satilla Computer Solutions for co-sponsoring the wine and cheese reception, and JIMI alumni, Michael Scott, High Point Historical Museum, High Point, NC and Scott Warren, President James K. Polk Historic Site, Pineville, NC, for co-sponsoring the cash bar. JIMI is an SEMC program sponsored by Goosepen Studio & Press, Inc., Jekyll Island Museum and Historic Preservation, and North Carolina Division of State Historic Sites and Properties. Tuition refunds will be issued only when a written cancellation is received in the SEMC Central Office via mail, fax, or email by 4 January 2019. A 25% cancellation fee will be deducted. Refund checks will be sent after 31 January 2019. After 4 January 2019, no refunds will be given. SEMC is not responsible for cancellations that were not received. Applicants may choose to delay participation for one year for a $100 fee; due upon the postponement. Consider supporting SEMC's successful Jekyll Island Management Institute (JIMI) now in its 19th year. 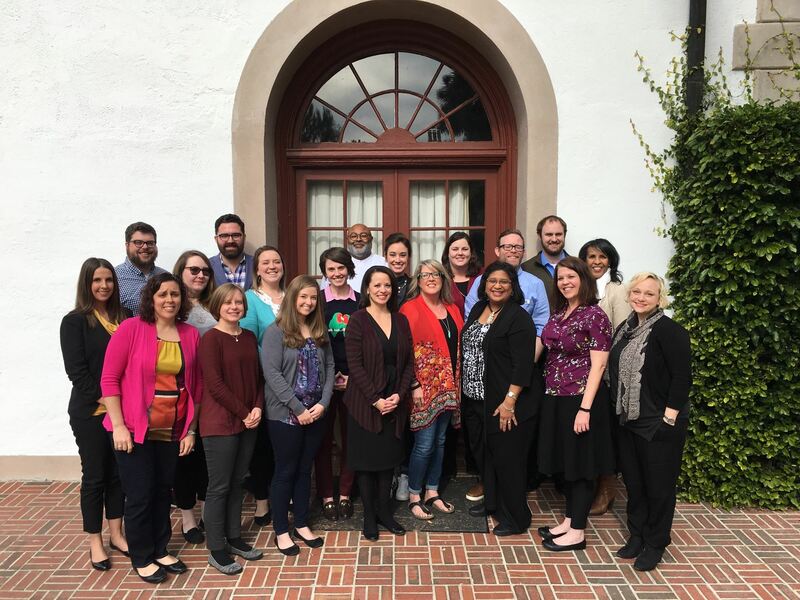 This successful program has attracted applicants from all over the United States and its alumni have assumed key leadership positions in leading museums and organizations. SUPPORT THE PETER LAPAGLIA JIMI SCHOLARSHIP ENDOWMENT FUND.